I was very happy with my new truck ordering and purchasing experience. I plan on recommending Ellsworth Ford to my friends and family and will be continuing to do my business there for good. Stephen was a good salesman and very patient with us at the dealership. I felt that the dealership was a reputable place, and that a purchase from there would have been solid. We didn't end up buying from the dealership, as there was some information I was hoping to get on the condition of certain car parts (brakes, tires, etc.). Also, another dealership that was reputable had the exact same vehicle, down to the color, with slightly higher mileage, at a lower price. I asked Ellsworth if they could drop their price at all, knowing that that car was out there-I didn't expect them to meet or beat that price, since the mileage was different, and had they offered anything, I would have bought from them. So, we bought from the other dealership, and have been happy with the purchase. I would still recommend Ellsworth Ford, since it was a nice place, and I don't hold anything against them for not coming back with a lower price, but business is business. I do wish I would have heard anything back from the salesman, or from the service guys about specific car parts, as I consider the life of those parts as part of the purchase too. Overall, still a positive experience. The process was excellent all the way through. Very helpful and told me what to expect during the entire repair. staff is always freindly, service was fast and complete. I live in eau claire where eau claire ford is located, but drive to menomonie to go to northtown ford. Pleasant environment, great value, courteous employees. 1st oil change with new Ford Escape. 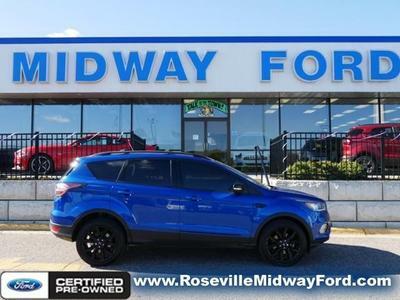 I had my first oil change with my new 2015 Ford Escape. Everyone was super helpful and friendly. I feel confident in bringing my vehicle in for service. Thanks. Was treated with respect and friendliness, very professional!